Our raw sauerkraut juice – KVASS – is an incredibly delicious and nutritious tonic that can benefit your body in a number of ways. 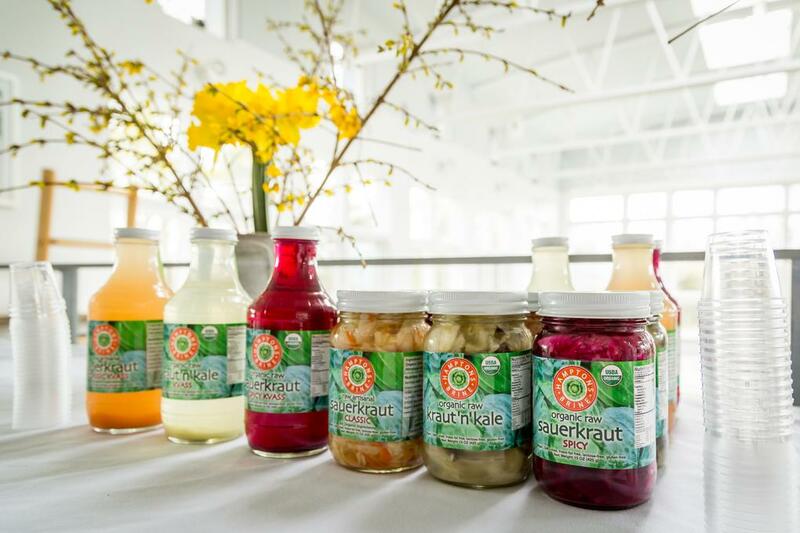 Sauerkraut Kvass is a new creative take on a relatively well-known beet kvass, another lacto-fermented probiotic-rich drink that has gained in popularity in the past few years due to its distinctive flavor and the great nutritional density that it so readily provides. Sauerkraut kvass offers all of the same plus the absolutely delicious flavor and the additional health benefits gained by using the vitamins-rich cabbage in the recipe. Often referred to as “superfood”, fermented sauerkraut and kvass are a recognized and highly valuable source of live probiotics and enzymes that have a strong beneficial impact on your allergies and your immune system strength. As Dr. Mercola pointed out in his article in the New York Times, 1 ounce of fermented sauerkraut has 5 trillion of live beneficial bacteria. That’s more than you will find in 60 probiotic supplement pills! Drink a small shot of our artisanal raw fermented organic juice every day to ensure that your intestinal flora is always in good balance. Additionally, you can use it in any recipe that requires the use of vinegar or lemon juice from salad dressings to soups. The zesty flavor of the kvass will enhance the taste of any marinade as well or try the Spicy Kvass in your next Martini for an uncommon cocktail that can win over even the hardest skeptic.